Growing up in the country wasn’t simply footy, cricket and an occasional hit of tennis. A gastronomic and social revolution followed Johnny Guzzo opening The Kapunda Pizza Bar in the late 1970’s. Located on the Main Street, it was a superior example of the wider world invading. Goodbye chops and three veg! This meant Rawady’s Deli no longer sold the town’s most exotic food: the Chiko Roll. Of course, neighbouring Nuriootpa had a so-called, “Chinese Restaurant,” but the Barossa Valley was always a brazen place. The KPB immediately became a teenage hangout. Within its fuggy walls were a jukebox, pinball machine and cabinet game. Trigonometry and flora transects would not win me. Enter Frogger! Our heroic frog needed to cross a road, and then a river teeming with turtles and alligators. Superior to Space Invaders and Galaxian; both were earnest and dull next to Frogger’s narrative silliness. Beyond the usual disposable deaths, it rewarded the escorting of a lady frog. “Lay Your Love on Me” by Racey was popular when I started high school, and ceaselessly requested on 5AD’s evening show. Roller-skating on the betting ring at Kapunda’s Trotting Track. In a wheeled version of musical chairs I won Racey’s follow-up single, “Some Girls.“ It wasn’t even in the shops! Collecting the record from DJ and Tarlee farmer Tony Clarke, it was a dazzling jewel in a Tintin adventure. A giggle of girls gathered around me to behold it. For about five seconds I was John Paul Young. 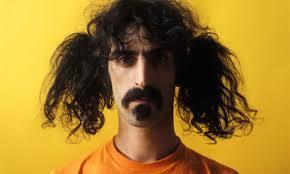 I was sure it’d make me outrageously popular with that most desirable of creatures, the older Year 9 girl. The highest weekly pinball score at Johnny Guzzo’s won a can of coke. I know! It was usually collected by a yoof wearing a black duffel coat, and the black boots with a fearsome reputation among mothers everywhere, Ripples. Although some dressed tough, Kapunda boys weren’t. Bang! A Special! A free game! The whip-crack always turned the adolescent heads away from their smoking and bantering, to see who’d won. It is a Believe It Or Not mystery that I claimed the coke. Once. 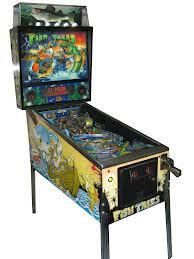 I often think that when my mid-life crisis finally hits, I’ll buy a pinball machine. May be Fish Tales. Every summer, every boy tried to splash Mrs Chappell, the Kapunda Swimming Pool’s manageress, as she sat in her canteen chair. Mrs Chappell sold confectionery, shelved seductively in glass bottles. These were probably taken from a Fowler’s Vacola preserving set. Launched stealthily from the diving board, drenching the canteen could only be achieved with an impeccably executed bomb or cannonball such as a Storky, Arsey, Suey, or my cousin Boogly’s speciality, the Coffin. Being built like a full back didn’t result automatically in a bigger splash. The best bombs had slick skill and my friend Lukey, still Robbie Flower skinny, possessed Grand Master technique. Eating at the pool was ritualistic. 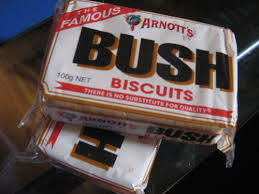 Bush Biscuits were similar to Arrowroots, but larger, harder, and somewhat impossibly, more dreary and tasteless. According to the manufacturer, they were, “made for camping.” Forget blood brothers, Bush Biscuit bonds run deepest. They became our currency. 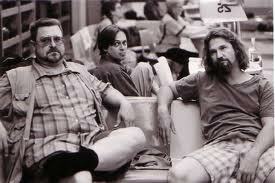 Decades on, and always over beers, fellow pool-haunter Fats and I still jest about the Bush Biscuit ledger. 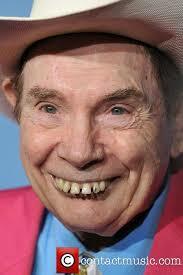 For the record, Fats remains indebted to me. I never loved the motorbike. Several of my schoolmates did. Upon arriving, during recess, at lunch, and after school, they’d gather under the tree where the teachers’ motorbikes were parked. Like a hypnotised cult they’d stare at the machines as if in a David Lynch film. Or Puberty Blues. Through barely-opened mouths, they’d mutter about carbies and clutches. They had nicknames like Gomer and Lumpy. When every working part had been mentioned, they’d cycle through them again. Never making eye contact, but staring, bewitched, at the motorbikes. After school, they’d then break camp to Johnny Guzzo’s and, on the footpath, repeat their low automotive mantra, while gazing at a different set of Kawasaki’s.